Extra thick and rich lotion. 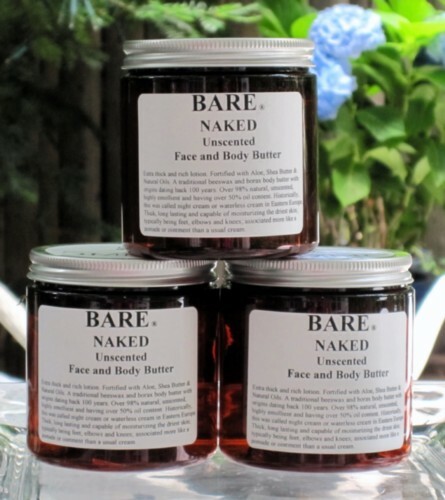 Fortified with Aloe, Shea Butter & Natural Oils. A traditional beeswax and borax body butter with origins dating BACK 100 Years. Over 98% natural, unscented, highly emollient and having over 50% oil content. Historically, this was called night cream or waterless cream in Eastern Europe. Thick, long lasting and capable of moisturizing the driest skin; typically being feet, elbows and knees. Associated more like a pomade or ointment than a usual cream. Sunflower Seed Oil, Soya Bean Oil, Jojoba Seed Oil, Natural Beeswax, Aloe Vera Leaf Juice, Chamomile.